The legalization of marijuana has been a point of debate in the United States for years. However, things appear to be looking up for pro-legalization advocates. Nearly six in 10 Americans supported legalization in early 2018 and a new FDA approved cannabis drug – Epidiolex – suggests investors may reconsider investing in marijuana stocks. 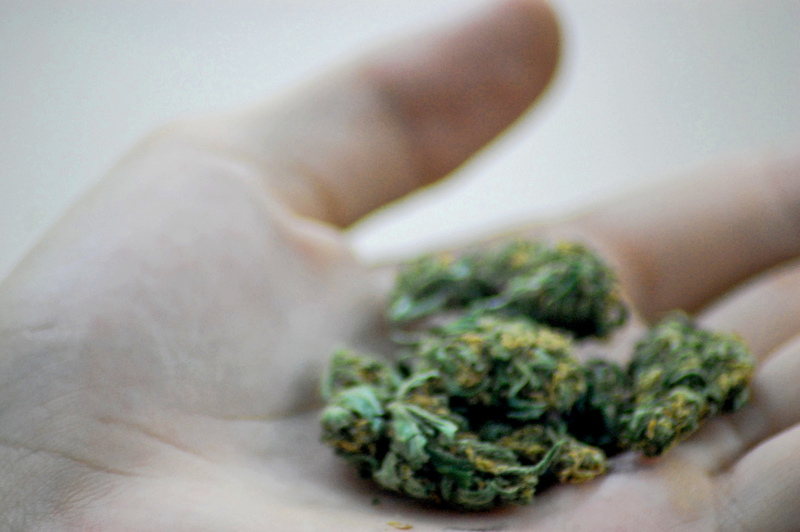 Until now, the Food and Drug Administration hasn’t weighed in on the marijuana debate. Now, the agency has approved the cannabis-derived drug Epidiolex for the treatment of two rare seizure conditions. 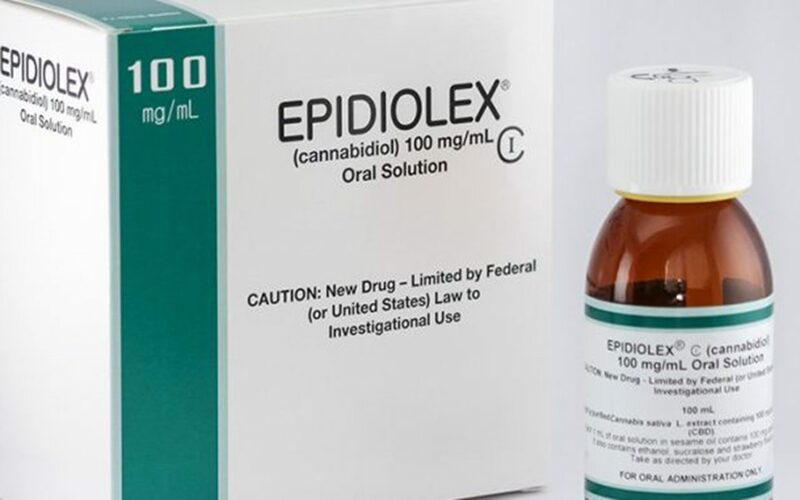 Epidiolex, produced by GW Pharmaceuticals, is an oral form of cannabidiol, or CBD. This approval is significant for the marijuana industry but it doesn’t allow for the buying-and-selling of CBD from marijuana dispensaries – that is still prohibited by the Drug Enforcement Administration. What the FDA has approved is the prescription of Epidiolex by doctors nationwide, regardless of the state’s stance on marijuana. Epidiolex is currently only approved for use in patients with Dravet syndrome and Lennox-Gastaut syndrome. During clinical trials, patients with these conditions saw a 40 percent decline in seizures using Epidiolex. There are approximately 2.2 million Americans suffering from epilepsy, more than 470,000 of which are children. One-third of these patients have not yet found a way to adequately control their seizures. GW Pharmaceuticals has been working on marijuana research since the 1990s. The company’s past attempts at proving cannabis-derived medications worthy of FDA approval have yielded mixed results. In the past month, the company’s stock has dropped nearly 30 points. Should You Buy Marijuana Stocks? On top of the first FDA approved cannabis drug, voters in Oklahoma recently chose to legalize medical marijuana. Now, 30 states have legalized the use of marijuana medically and the potential for high returns has piqued investor interest. Despite the good news for the pot industry, the United States Marijuana Index lost 8.3 percent last week and the North American Marijuana Index (which includes Canadian stocks) lost 8.2 percent. For now, marijuana stocks are typically not recommended by major brokerage houses – suggesting it may be too soon to safely get into the green gold rush. Dumpster Diving for Marijuana to Make Money — Is That Actually a Thing? Will a Pot Job Smoke Out All Other Career Options? Marijuana Research: What Are The True Effects of Marijuana? Should You Invest in Alternative Energy Stocks? Gone are the days when pot jobs were limited to side hustles of the illegal kind. The legalization of cannabis is creating an industry that’s expected to create 340,000 jobs within two years and grow to $57 billion in revenues within the next decade. Job postings for cannabis-related careers increased by 445 percent in 2017, compared to just 18 percent in 2016. Because the industry is still relatively new, many people may second guess a cannabis career move — which appears to be intensifying the demand for talent to fill this explosively growing job category. The most concerning part about making a large career move like this is deciding whether or not the industry will last in its legalized form. But so far, there don’t appear to be signs that cannabis will slow down any time soon. As of this writing, 29 U.S. states have passed legislation that legalizing medicinal marijuana in one form or another (see the map below for details). Additionally, recreational pot is legal in Alaska, California, Colorado, Nevada, Oregon, and Washington. Starting July 1, 2018, you’ll be able to purchase marijuana at retail locations in Massachusetts. With these states having legal recreational marijuana and more adding the issue of legalization to ballots, legal sales stand to double in 2018, potentially reaching $10 billion in revenues by the end of the year. On top of that, states are generating hundreds of millions of dollars in tax revenue from pot sales, making it unlikely the industry might disappear anytime soon. In fact, cannabis careers are already outpacing the growth of even healthcare and tech openings. The growth is evident in the employment listings on Monster.com, where you can see more than a half dozen different job titles in the cannabis industry. Below are some of the career tracks you might toke — er, make that take. Not bartenders, budtenders — they’re the folks you see at dispensaries that deal with customers one on one. They guide individuals through the buying process and finding the product that will suit them best. This requires working knowledge of the product and the ability to provide good customer service. A beginner’s hourly rate averages at $11 to $12 an hour. Salaried budtenders make between $31,200 to $42,000 per year. States that have regulated recreational use have sent a number of cease-and-desist letter to illegal operators. These states need compliance experts to identify businesses operating illegally. These individuals may also have the responsibility for providing information about how the business can become compliant with the state’s laws — in some cases, employers might prefer candidates with law degrees. These jobs can pay up to $122,000 per year. Dispensary managers oversee the day-to-day operations of cannabis shops. Managers deal with customer service, law enforcement, inventory management, and returns. They are also responsible for hiring and training other team members. Most stores want a bachelor’s degree for this, but a high school diploma or GED may suffice. 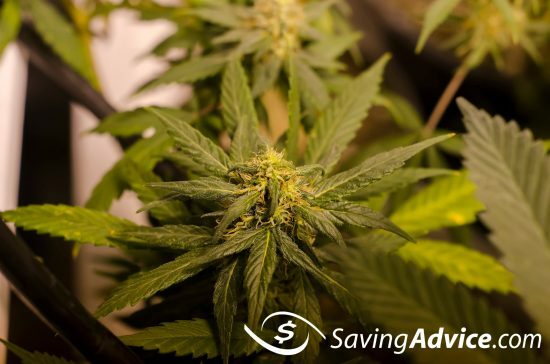 The average salary of a dispensary manager is anywhere from $60,000 to $150,000 per year, depending on experience. An edibles chef does exactly what it sounds like: they bake cannabis into sweets and other things you can eat. These positions usually require a background in baking as well as cannabis knowledge. This includes knowing state and local marijuana codes. Chefs make between $40,000 and $90,000 a year. Although these are essentially the inverse of job openings, these opportunities can appear among the ads for employment in the cannabis industry. Since many of the companies operating in this industry are startups, investors are in demand. Although investing in a startup like this can be risky, the flip side of that risk might entail significant upside growth — especially if the company subsequently goes public. Be sure to do lots of research before committing to any investment within this industry. If you are an advocate for legalization, you may want to consider a job with a marijuana lobbyist groups. In many cases, this is hourly temp work but some organizations need leadership roles filled. This position doesn’t stand to make a ton of cash but if you are passionate about the cause, you can make a difference. Believe it or not, in some areas of the U.S., there are already more cannabis dispensaries than Starbucks. Many of these business owners need marketing strategists to make sure their facilities remain appealing compared to the competition. As such, pay rates might depend on demand and experience. Patient care coordinators do many of the same tasks as budtenders, only in medicinal marijuana settings. These individuals work with people who have medical cards, to help them find a suitable strain for their ailments. In many cases, these are hourly positions with pay starting around $12 per hour. As mentioned above, many of the pot businesses are startups that could use some help making their small businesses tech savvy. Many will be looking for developers to help create apps, websites, and point-of-sale software — for both full-time work and consulting or contracting roles. People who toke on — er, make that take on — these roles full time can make up to $130,000 per year. Career Limiting Move or Door Opener? As the list of pot jobs above suggests, the industry appears to have just enough momentum to assuage concerns about the potential for career enhancement. It’s possible that the progress that legalization has made may have already removed enough of the stigma associated with marijuana for these roles to not become something that might pigeonhole you within the same industry. However, whether that proves true for everyone who ventures into this field remains to be seen, since pot jobs are still a relatively new phenomenon compared to other types of careers. Readers, have you considered a career in one of the fastest growing industries in the country? Is Your Career Hurting Your Earning Potential? Marijuana is one of the most widely used illicit drugs in the United States and it is also one of the most controversial. One of the most controversial topics surrounding the drug is: what are the effects of marijuana? When you think of an “illicit drug” most people would plainly say “drugs are bad.” Not everyone thinks that about marijuana though. In fact, many people argue its great health benefits. Both proponents and opponents of cannabis have had a lot to say on the matter but which claims are true? NASEM based its report on more than 10,700 abstracts of reports published since 1999, with an emphasis on papers published since 2011. According to Forbes, the committee was made up of experts in marijuana, addiction, oncology, public health, epidemiology, systematic review, cardiology, preclinical research, toxicology, immunology, pediatric and adolescent health, respiratory disease and neurodevelopment. This committee of people was responsible for gathering the information and interpreting it for the new report. What the committee created, essentially, was a summary of the 10,700 abstracts of research which addresses a number of things, including how cannabis affects the health of those ingesting it. The NASEM report did not find a large amount of evidence to support that marijuana has any effect on lung, head or neck cancers. Marijuana has not been labeled as a cause of cancer though (as many people have tried to claim previously). The NASEM findings showed there is substantial evidence to claim that cannabis (marijuana) is an effective treatment of chronic pain. And, although cannabis doesn’t necessarily cure cancer, researchers found that marijuana is an effective treatment for nausea and vomiting that accompany chemotherapy. However, there is limited evidence that proves that cannabis is an effective treatment for reducing symptoms of dementia, glaucoma or depression associated with chronic pain. You’ve heard people call marijuana a gateway drug in the past. There is only moderate evidence that cannabis use leads to a development of substance dependence or abuse in the future. Can you become addicted to marijuana? What causes the addiction? Well, there is no substantial evidence that many people become “addicted” to weed (not physically anyway). 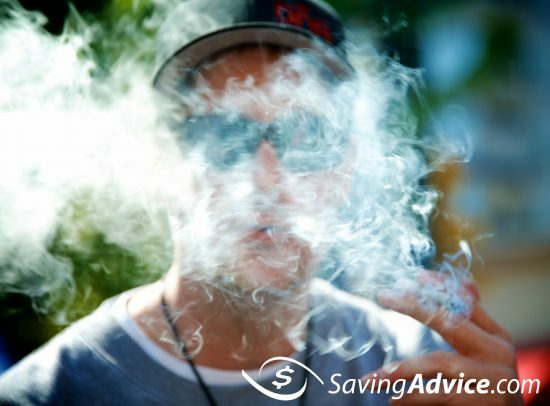 Men who smoke cigarettes, however, have more of a chance of developing problematic cannabis use in their lifetime. Marijuana has been labeled as treatment for many mental health disorders. There has also been evidence that cannabis may help the development of other mental health issues. For example, substantial evidence was found that more frequent cannabis users have a higher chance of developing schizophrenia or psychoses. There is also a moderate association between marijuana smoking and the worsening of symptoms for people with a psychotic disorder. At the same time there has been moderate evidence that smoking marijuana can improve cognitive performance in people with a psychotic disorder. It seems there is also moderate evidence that marijuana and thoughts of suicide (or committing suicide) can go hand-in-hand. Cannabis can also increase symptoms of PTSD for some people, according to the report. There is only moderate evidence that marijuana can impair your learning abilty, memory and attention (but only after immediately smoking it). There is only limited evidence of it affecting your brain health long-term or it affecting any other part of your life (i.e. low wages, unemployment, academic achievement). If you’re smoking marijuana, you may be wondering about its affects on your lungs. There is substantial evidence that there is an association between long-term marijuana smoking and an increase in chronic bronchitis. Also there has been moderate evidence that ceasing to smoke marijuana can have benefits on your respiratory health. What Are The True Effects of Marijuana? The NASEM report gave a good overlook of all the information that has been gathered about marijuana over the past 18 years or so. There are still some barriers that stand in the way of researchers, especially because it is considered illegal in most states still. Essentially, the conclusion of the report is that more research is needed. It is startling to discover how much we still don’t know about the widely used drug. Only 12 of the conclusions in the report were found to be substantial and 25 are supported by moderate evidence. Additionally 27 claims about marijuana had limited or no evidence supporting them. Basically what the report has done is given both proponents and opponents of legalization another point to argue. Many of the areas in which people have claimed marijuana can “cure” ailments aren’t necessarily true but it is a helpful treatment for many people. In the same light, many of the claims about marijuana being extremely bad for you aren’t true either. So, if you’d like to base your next argument about marijuana on science and not ideological differences, the NASEM report is probably the best place to start but be prepared for those findings to change over the years as new research methods become available. Domestic violence is a costly problem in the US. The Centers for Disease Control and Prevention (CDC) say that the cost of domestic violence against women exceeds $5.8 billion a year, which includes $4.1 billion in direct costs such as medical and mental health care costs, and another $1.8 billion in indirect costs, such as lost productivity. Anything that can be done to reduce domestic violence should be greeted with a positive embrace, but that might not be the case with new research published in Psychology of Addictive Behaviors, which shows domestic violence is less likely to occur in homes where more marijuana is smoked over long periods of time. The research was conducted by the University at Buffalo School of Public Health and Health Professions in conjunction with the Research Institute on Addictions (RIA) which looked at data over a nine year period. They wanted to know why over the years there has been inconsistent findings regarding domestic violence in homes with couples who smoke marijuana. They found couples who smoked marijuana more often (at an approximate rate of two to three times a month) were less likely to have domestic violence perpetrated by the husband toward the wife. They also found a correlation between marijuana and lack of domestic violence to exist where the women had no previous history of any type of antisocial behavior. 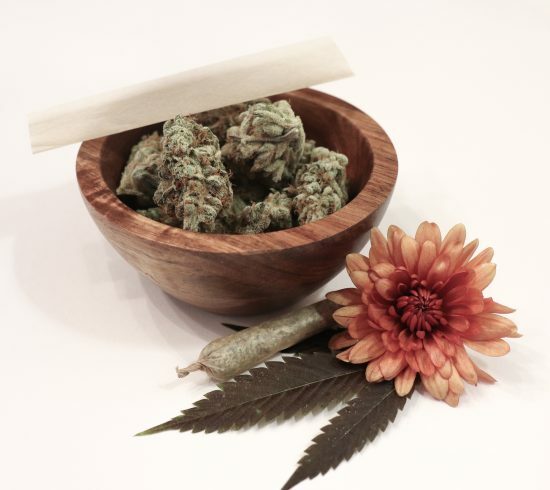 The research doesn’t say that smoking marijuana will lessen the chance of domestic violence occurring on a particular day the drug has been smoked, but that the prolonged use of marijuana over years can be used as a way of predicting the chance of domestic violence in the home.